A day with royalty! 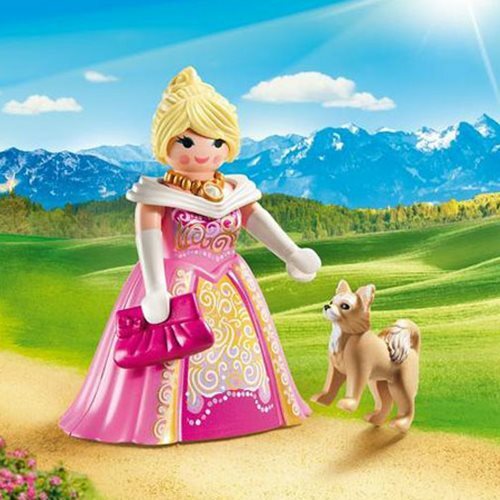 The Playmobil 70029 Playmo-Friends Princess brings her bag and her dog to every affair. Complete with long gloves and a full-length gown, she's ready to take in a show or just spend a quiet night at the palace. Ages 4 and up.